Conexus Counselling offers quality and competent therapy to both individuals and couples at 143 Smith with an experienced therapist. Peruse the rest of our site to understand our approach, our policies, and explanations of what you can expect when you book an appointment. The Smith Street office is located at the corner of Smith and York. 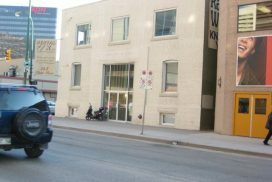 It is conveniently located a few minutes' walk from Portage and Main Street, the hub of many Winnipeg business. It is very near Broadway Street, another major center of Winnipeg business. We are located on and near many major bus routes. 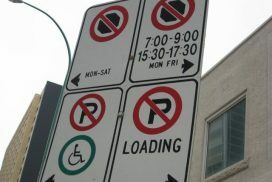 Metered parking on the street is almost always available during the day at a modest rate. There are several parkades within a block of this location. **Please note, however, no parking is permitted on the east side of Smith after 3:30 pm on weekdays. 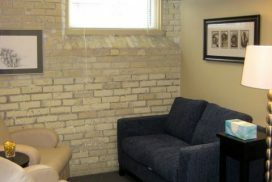 The office is in a beautifully restored older building, with a good old fashioned brick wall along the far wall. They don't build them like this anymore! The office has a comfortable couch. 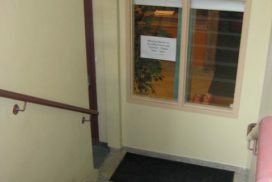 Please enjoy the Smith St. office surroundings as you take the significant step of engaging in counselling. 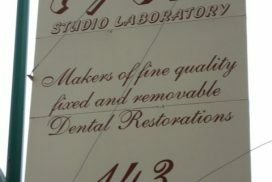 When you have found this sign for Dental F/X, you have found our location. It is located at the corner of the building. We are located at B-100 portion of the building. Please come into the building, go down a flight of stairs and turn to the left. You'll find yourself at a doorway. There are signs letting you know you are in the right place. Please ring the bell, as we keep the door to the office locked for safety reasons. 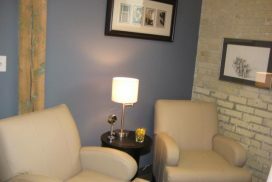 You will be quickly "buzzed in" allowing you to relax in the comfortable waiting area until your appointment begins. 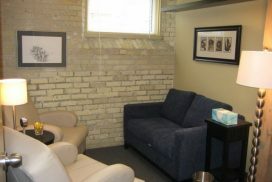 The downtown location is designed to be comfortable and relaxing. We recognize that many clients will be somewhat ill at ease during appointments, especially at first. The office is designed to be calming and soothing, with soft lighting and cozy seating..